Carshow | The tension can be cut with a knife. Just like every other year the Geneva Motorshow is the most important car show in the world. When the doors are opened to the general public, visitors can witness the biggest premiers and the most exciting concept cars. But this year the feeling is different. The motoring industry is in dire straits and some car makers are about to collapse. Are dark clouds gathering over Geneva or is it business as usual? 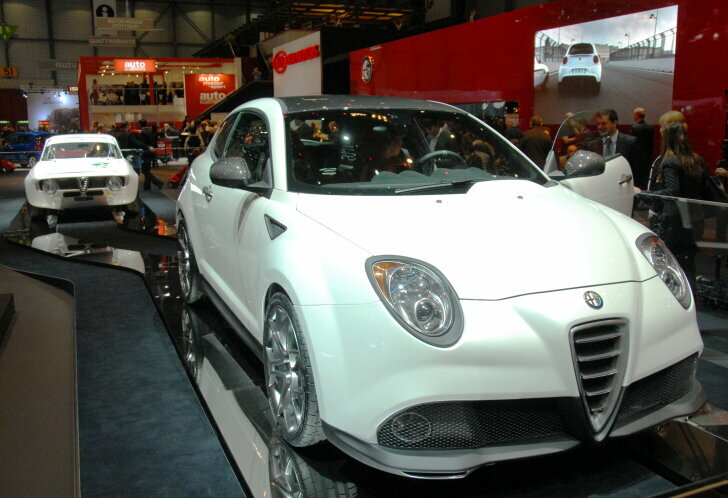 On March 5th 2009 the Geneva Motor show opens it doors for the 79th time. This year the show hosts 250 stands which represent 850 brands from 30 different countries. Those coming in via the main entrance, automatically start at the Toyota stand and there's no recession there! Toyota showcases the all new Prius and Verso. The third generation of Toyota's hybrid car is more powerful, more luxurious and yet cleaner than ever before. 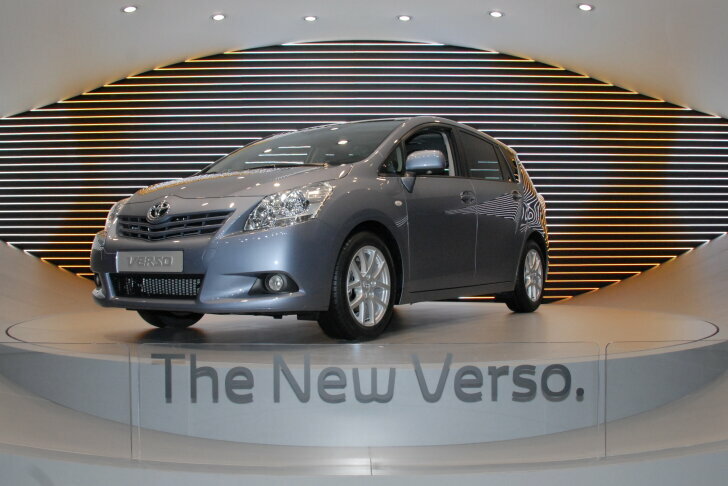 The new Verso offers more cabin space and is also much more economic. This seven seater will be tested within a couple of weeks. The three seater Toyota iQ gains a new 1.33 litre engine. 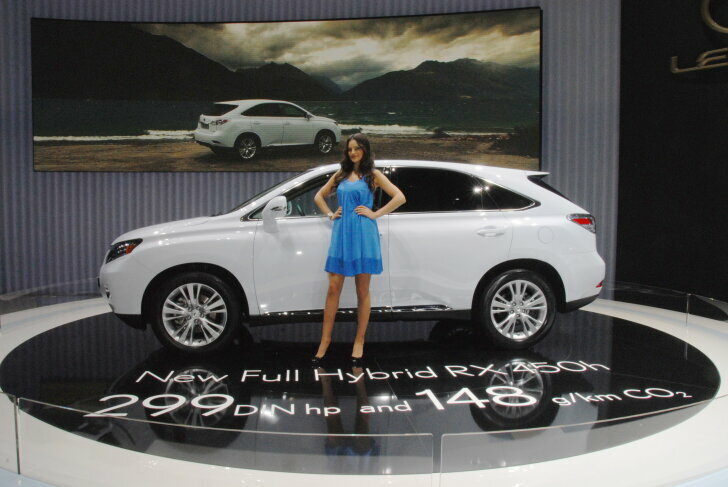 Lexus also brings a hybrid car to Geneva. The new RX450h produces no less than 299 hp, but only emits 149 grams of CO2 per kilometer. Lexus also showcases the IS250 Convertible. Fiat predicts a sunny future with the 500C. Fiat deliberately doesn't use the word "Convertible", because although the roof can be opened completely, but the sides do not retract. At Alfa Romeo the biggest news is also a new version of an existing car. The MiTo is first shown as a sporty GTA-version (240 hp). The car on display is still in concept, but rumour has it that the final production vehicle doesn't differ much from this extravagant concept. 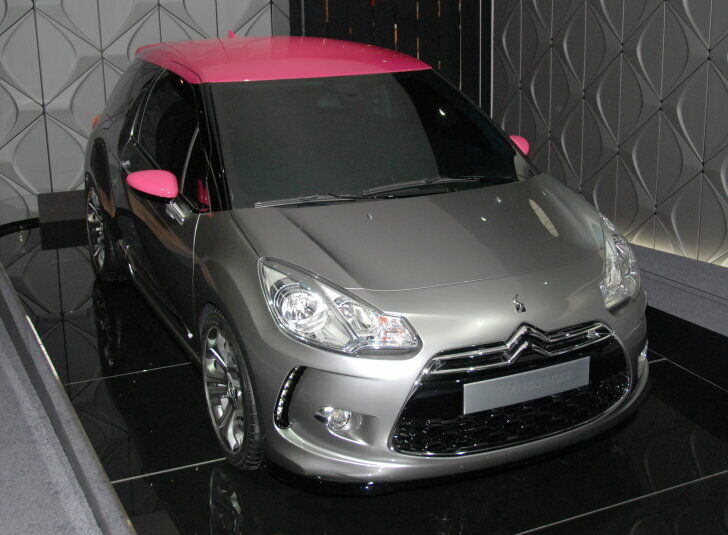 Citroën goes back to the past and reintroduces the legendary DS. Attention visitors: the DS is hidden behind the stand in a small, dark room. 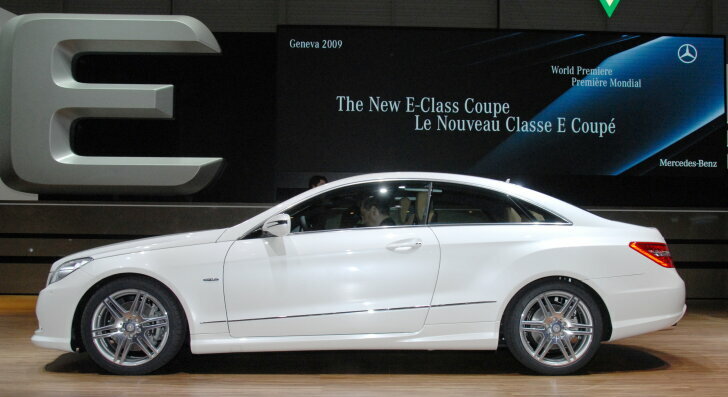 At Mercedes-Benz the new E-Class takes centre stage. Just like in the sedan emphasis is on safety and fuel economy, without affecting the ride quality. BMW brings a concept of the 5-Series GT to Geneva, a cross between an offroader and a coupé. Most prominent at the BMW stand is the all new Z4. The MINI Convertible is also brand new and can be seen in a sporty "John Cooper S Works"-trim for the first time. 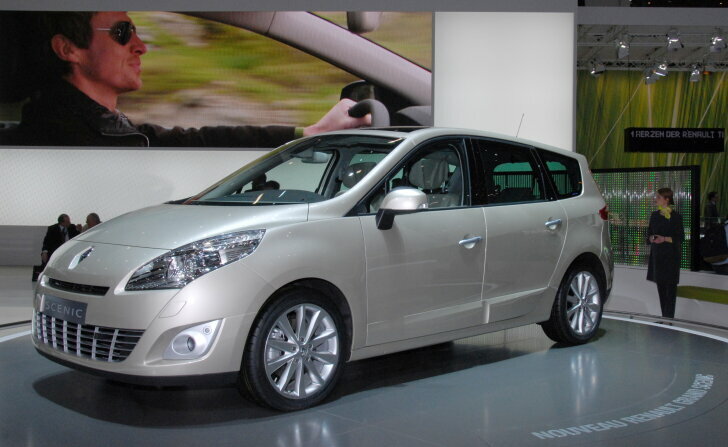 The 3008 grabs the spotlight at Peugeot; a mix between a estate and an SUV which is expected to go one sale this year. For the year 2011 a hybrid drive 3008 has been announced. Volvo brings along the most promising concept car. 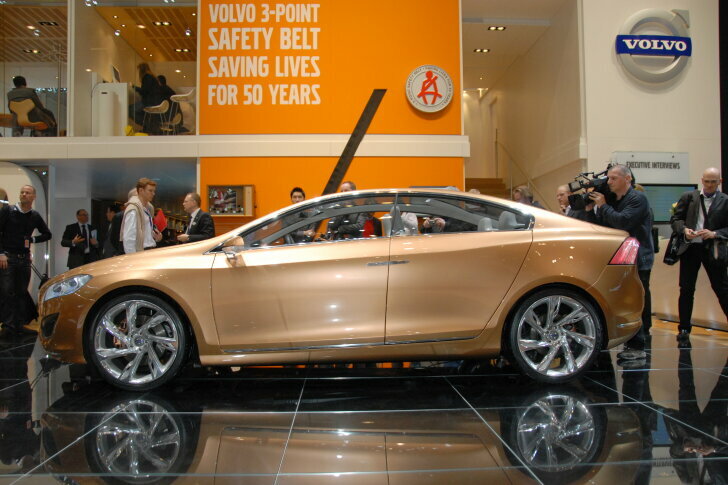 The current S60 is a boxy sedan, but the future model is a real eye catcher. The final production version is said to be almost as striking as the concept shown here. Volvo also shows the S80 facelift, which now looks bigger and even more dignified. 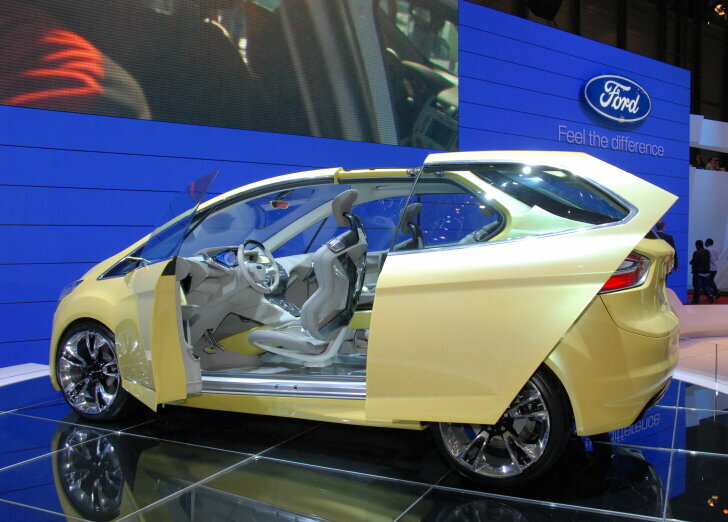 At Ford all attention goes to the head turning Iosis Max concept car. A spokesman of Ford emphasises that this is not the new S-Max, but the Iosis Max does reveal Ford's new design language. Elements of this car will be used in future Ford models. Less prominent, but therefore not less important, is the electrically powered Tourneo Connect. Depending on demand Ford will decide wether to take this electric vehicle intro production or not. 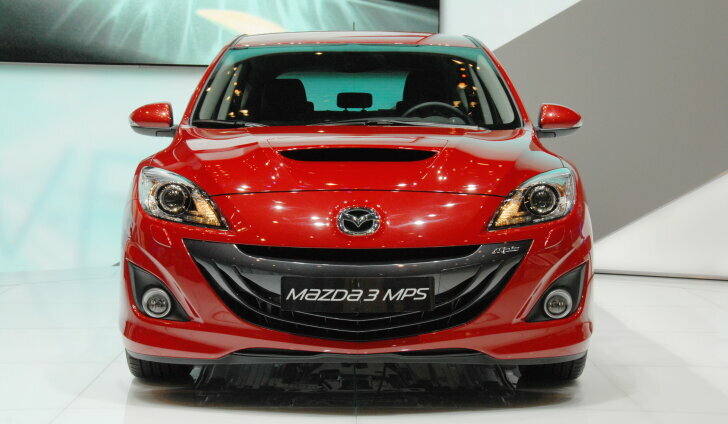 Mazda reveils the new "3 MPS". Altough the car looks a lot like its predecessor, a spokesman of Mazda ensures that this really is a new car and not just a facelift. Mazda did facelift the CX-7, which is now available with a diesel engine. Finally Mazda shows the gulwing Kiyora concept car (see panoramic photo). 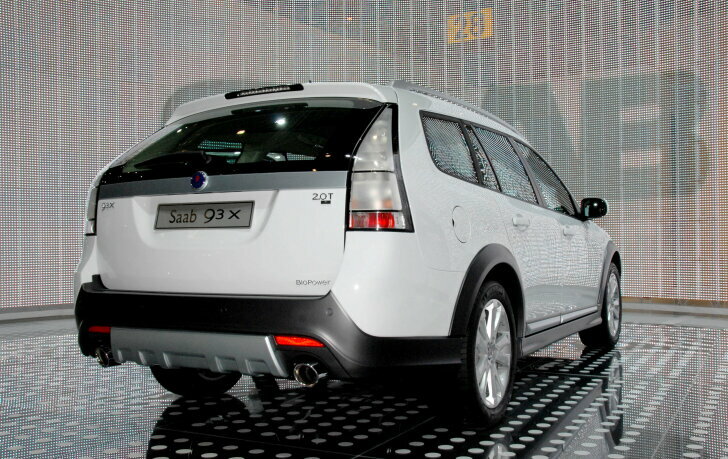 As of September the Saab 9-3X is available. This rough version of the 9-3 is (depending on the engine type) fitted with front wheel or Saab's nifty "XWD" four wheel drive. After many teasers, concepts and previews Skoda finally reveals the long awaited Yeti. This bright eyed, friendly looking SUV will be available with both two and four wheel drive. A first test drive is scheduled for May. Nissan appeals to the emotional side with some striking newcomers. The Qazana is a concept for a new B-segment car (already called the Qashqai Minus after the recently introduced Qashqai Plus). The Cube has been on sale in Japan for a while, but will soon come to Europe as well. Renault hosts two big premieres. 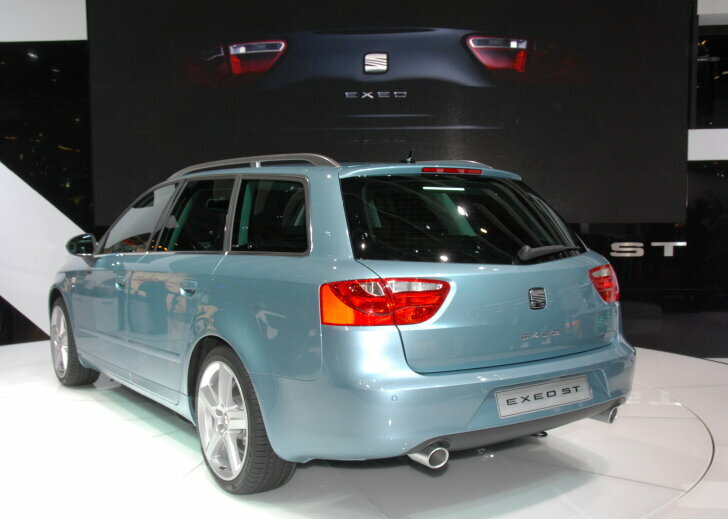 The Megane is first shown as an estate (expected as of October). Next to the Megane Estate, Renault unveils the all new Scenic and Grand Scenic. First the Grand Scenic will be launched (expected April 2009), in June the basic Scenic will follow. The Clio has had a facelift and will show its new face as of May. Perhaps the most important news at the whole show comes from Volkswagen, which unveils the new Polo. The car has grown considerably and looks much more mature than before. The standard trim is more complete, while the engines are supposed to be exceptionally efficient. 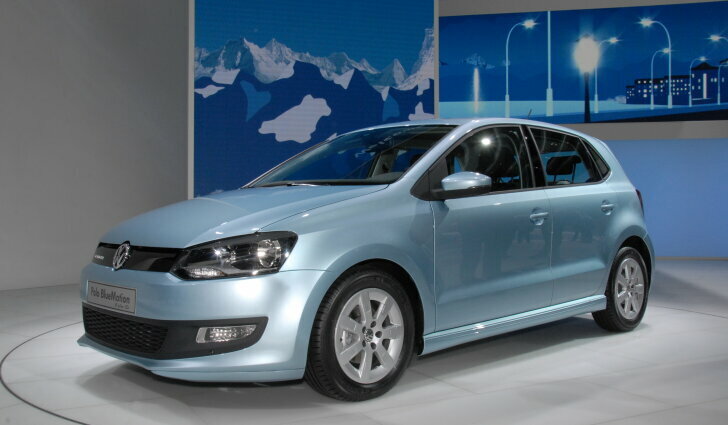 VW also shows the environmentally friendly Polo BlueMotion (74 mpg / 96 grams of CO2 per KM)). 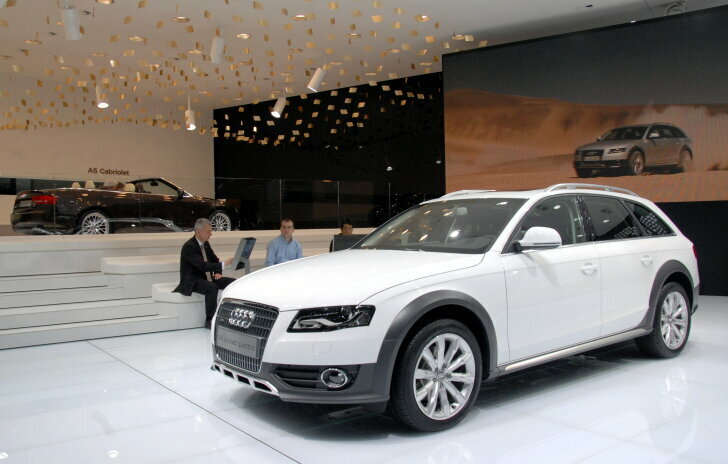 At Audi the rugged brother of the A4 Avant takes centre stage: the A4 AllRoad. The TT RS is fitted with a 300 hp strong power house under the bonnet. Also new at Audi is the A5 Convertible. Seat gives the Leon, Altea and Altea XL a new look. The recently introduced Exeo can be seen as a estate in Switzerland. 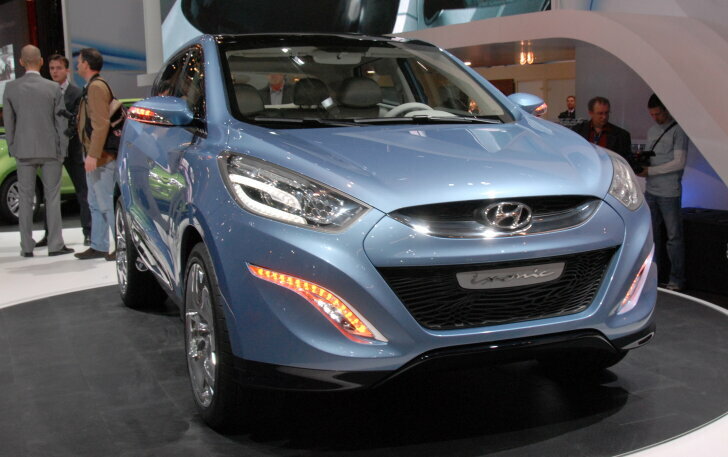 The Hyundai i20 can be admired with three, rather than five, doors in Geneva for the first time. It suits the car very well! The previously announced ix55 will not be coming to Europe, because it does not meet environmental requirements. 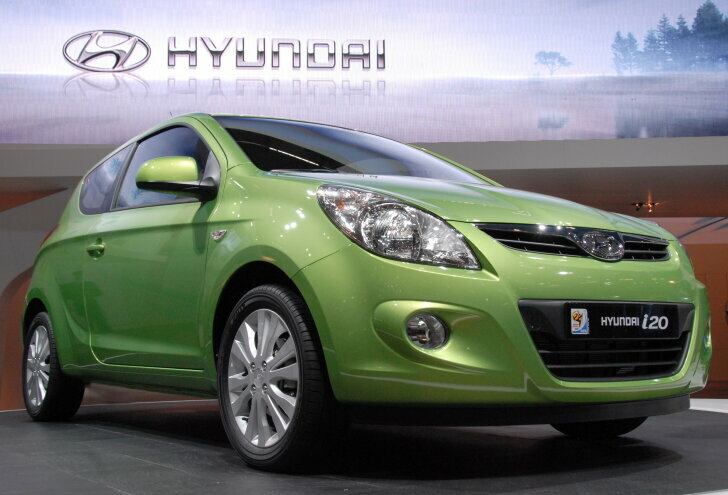 Instead Hyundai focusses all energy on the ix-iconic concept, which is the base for the new Tuscon (expected April 2010). Two new cars at Chevrolet. Most prominent is the Spark, the continuator of the Matiz. The Cruze is a new mid sized sedan from Chevrolet, which will be tested soon. 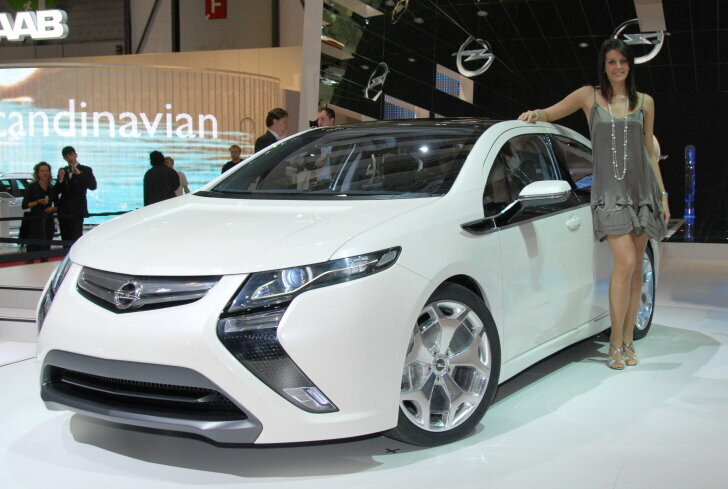 Vauxhall starts a true revolution with the Ampera. This electric car will be taken into production in 2011. The Ampera can be charged at any wall socket and can then travel 60 km. For longer distances (up to 500 km) a traditional internal combustion engine is on board as well. Next to the big news Geneva hosts many smaller stands for smaller car makers as well. 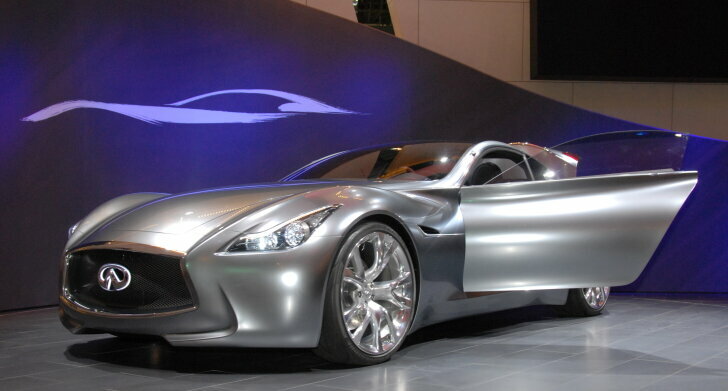 For example Infiniti shows off a truly beautiful concept. As always Rinspeed amazes the crowds, this year with the 1-2-3 seater iChange; a vehicle that changes size depending on the number of passengers. Dark clouds might be forming over the car industry, in Geneva all car makers put their vehicles in the spotlights. But this year the number of premieres is less, while the mood is gloomy. Many manufactures limit themselves to just facelifts or new versions of exitsing models. This year the biggest news is the Volkswagen Polo, Toyota Prius / Verso, Renault Scenic / Megane Estate, Fiat 500C and Mercedes-Benz E-Class Coupe. Most promising concept cars are the Volvo S60 and Vauxhall Ampera.